Each month I refer to the list I’ve made over the weeks or take a look around my bathroom at what products I’ve enjoyed and will make ‘the favourites post’. 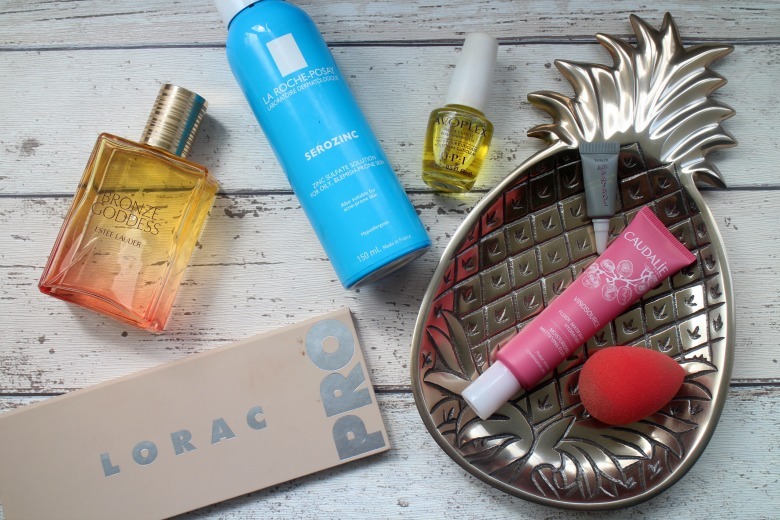 July was easy and I’d go so far to say that most of the products are not simply ‘favourites’ they are ones I am loving and still using well into August. 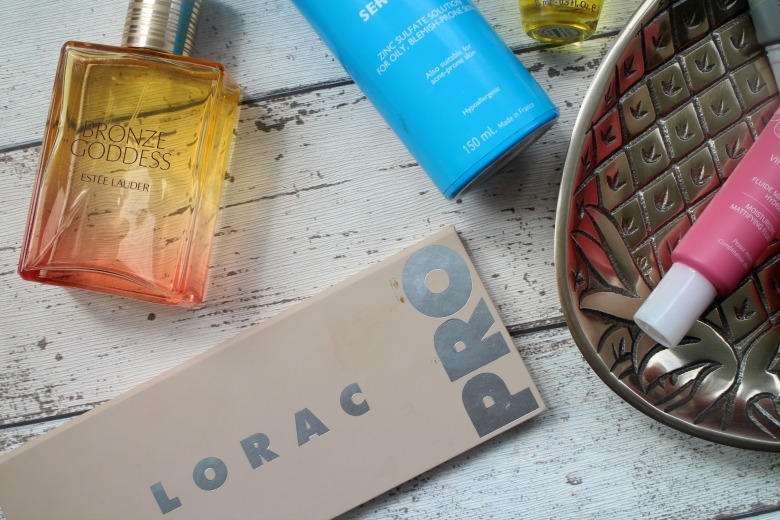 In fact I'm so late posting this by the unwritten blogger rules for monthly favourites I could've renamed this 'August Favourites' and it would have happily applied. First up has to be Estee LauderBronze Goddess perfume which I picked up in my last trip through Duty Free. Yes it’s all the clichés, ‘Summer in a bottle’ and oh so basic but I’m ok with that because I’ve been spraying this with abandon and enjoying every second. My only concern at this point is that I won’t be able to justify packing such a weighty bottle when I travel to Italy at the end of the month. Once again I make the plea that next Summer they’ll release a travel friendly purse spray. The next item I’m expressing my love for is the Lorac Pro Palette 3 which I realise I’m not quite sharing with you beyond its outer packaging. The Lorac Pro Palettes are much coveted for their buttery eyeshadows and inability to get hold of them in the UK. Even if you're lucky to visit the USA their locations are not found in the usual tourist destinations or in shopping malls so they can be rather coveted. Luckily for me I have a friend living in the US who was able to place the order for me and send it over when it went on early release at Ulta. In short this is the expected Lorac Pro Palette formula of eight shimmers and eight mattes that are pigmented and a joy to apply. Whilst on first appearance I was left thinking this was a little boring and bland compared to Palettes 2 and 3 I’ve been using this frequently and loving what I come up with. The shades are fabulous for the time of year and I’m keen to take on holiday and view in the sunshine. Shades of brown and rose golds make for a pleasing neutral eyeshadow look that you can deepen as you see fit. I am often overwhelmed when I open eyeshadow palettes and unsure where to start but this offering inspires confidence rather fear. Paired with my Lorac Pro Palette has been Benefits Air Patrol which is a sample size I think I received through the post during one of their promotions. We all know that Benefit are renowned for their press packages bloggers receive but I have to say I'm more impressed that whenever new products are launched there are an abundance of samples available to try whether from counters, applying online or as freebies with magazines. I'm picky with my eye primers and usually find I'm let down, but not by Benefit Air Patrol Eye Primer I'm pleased to say. Whilst I expect Lorac eyeshadows to stick around longer than most I have tried this with others in my collection and it's done it's job well. I'll be popping this small tube aside so it can accompany me on holiday next month. Without sounding like I’m hard to please and despite being a fan of La Roche Posay when their infamous Serozinc* finally launched into the UK I was bemused at what made fans practically swim the channel to get hold of a can. Essentially a facial mist toner, yet featuring Zinc Sulphate (the key ingredient) I found it didn’t do anything particularly amazing for me and it fell to the back of the drawer. As I work through my stash I pulled it out to show it a little love and it has ticked a box quite nicely. Serozinc is part of the Effaclar range and is designed to target oily, blemish prone skin of which I don’t really have so is perhaps why it never set of any sparks for me. But one of its other qualities is that it can be used either as a toner or to mattify skin. This element is what has been working for me. I always claim my skin becomes oily in warmer months and that is true but it would seem the skincare I’m using at the moment is making it less so, Serozinc being one of those products. Whilst talking skincare it seems appropriate to mention another aimed at oily skin, Caudalie VinosourceMoisturising Sorbet*. Unlike Bronze Goddess this moisturiser is travel friendly in its pretty pink tube and I’ve been reaching for it daily. Whilst I like a lighter moisturiser in the Summer to avoid additional oiliness I still need to ensure my skin is hydrated and this is a moisturiser that ticks both boxes. Caudalie have a whole Vinosource range 'powered by the grape' and you'll see some sample tubes of the serum popping up in my empties post this month. Caudalie say that this cream will turn into a patch of water on contact with the skin and soothes, moisturises and strengthens. I'm not sure about the 'patch of water' claims but I can agree with the later. It is a gel-cream formula which is light enough at this time of year without compromising hydration. Skin looks fresh and dewy and I've found my foundations sit nicely on top and I look than I might feel. I'm having a 'can't be bothered' with my nails moment since discovering a new nail salon had opened locally. Instead of giving myself at home manicures I've been enjoying the luxury of letting the professionals do their work. Unfortunately those professionals ticked me off about the state of my cuticles and how dry they are, which considering how much hand cream I apply throughout the day means I needed to give them some extra attention. 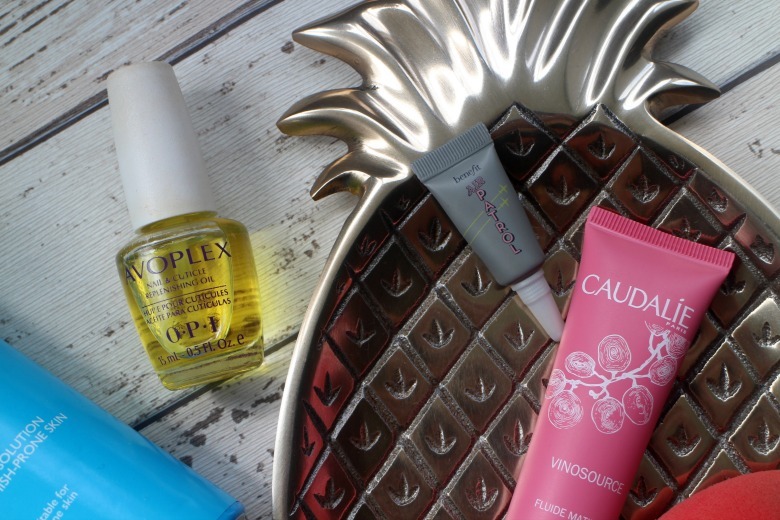 Buried deep in a draw somewhere was OPI Avoplex Cuticle Oil to save the day. Luckily I had a couple of bottles so one sits in my bedside draw and another in my 'sofa beauty draw' so that I can tick the job off my list at least once a day. I really must find another to leave on my desk at work. Finally the Beauty Blender, a product I've been scared of for so long but now I've finally faced my fear and used mine there is no going back. During multiple trips to the US I'd always bypassed the Beauty Blender. Despite the rave reviews I didn't think it was for me, wasn't sure how to use it and still had the voice in the back of my head telling me to 'put that cosmetic sponge down'. Of course this beauty sponge is very different to the ones I remember and it applies foundation fabulously. As I put make up on in my bedroom I was concerned about the dampening element but I've been using my Pixi Hydration Mist for the job and it works perfectly. 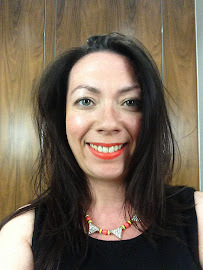 I feel somewhere between silly and a MUA pro as I bounce foundation into my skin but it's worth the effort. I was concerned that applying my foundation would take longer with the Beauty Blender, and admittedly it does take a little longer and not something I reach for if I'm in a rush but it's a matter of an extra couple of minutes. Whilst I love the flawless finish of my foundation, concealer too blenders so nicely with the Beauty Blender. The only area I'm finding fiddly and I was to resort to blending rather than bouncing is around the jawline and down the neck as it feels unnatural but practice makes perfect. I've already talked to friends about how they must get one a Beauty Blender and if you've not tried one yet I think you should too! What have you been enjoying recently?